In my previous blog we discussed the up and coming features in ZENworks 10 Configuration Management SP 3. For this blog, I will focus on some new content features and how they can help the process of onboarding a remote site for management. 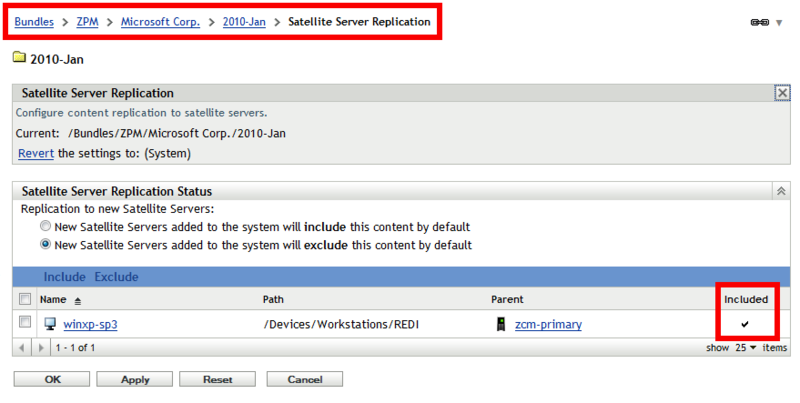 ZCM is built with flexibility in mind, any managed device can be very easily promoted to a satellite device with the following roles available: content repository, inventory and status collection point, imaging server and finally an authentication point for local AD or eDirectory instances. These are defined centrally in the ZENworks Control Center and applied automatically when the device next checks-in, no hassle, no fuss. However, let’s take the situation where we need to onboard a new site for management that’s behind a very slow of or saturated link. Yes we can easily automate the delivery of content and throttle bandwidth to get the data I need to that location, but if I need to ensure GBs of content is available, this may take days to throttle across especially if small windows and low bandwidth throttles have been set. In the case where network providers are charging based on utilisation, this process is something we should avoid if at all possible. There is an easier way. In ZCM 10 SP3, we can export the content that needs to be sent to a satellite device, copy to removable media and import manually at the remote location thus saving the consumption of bandwdith and potentially avoiding unnecessary cost. Exporting 635,577 KB in 217 files. 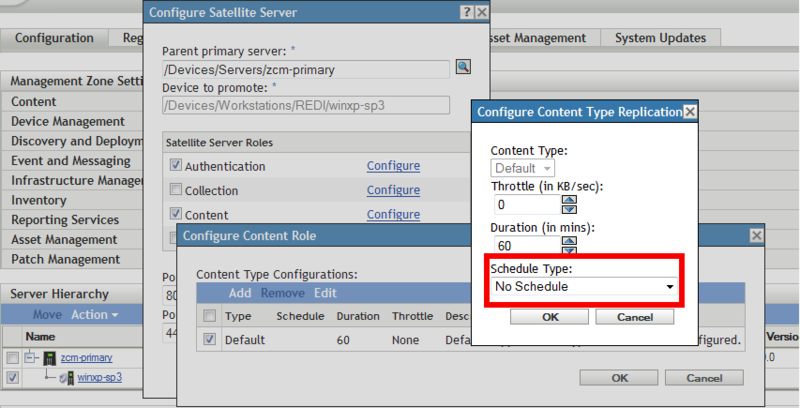 Finished exporting missing content for device "/Devices/Workstations/EMEA/novell-f7d8d036". Successfully imported content (125 items). Once this has been completed, setting the content synchronisation schedules instructs ZENworks to ensure all changes are synchronised automatically.